An abandoned dry cleaning plant located in the City of York was becoming a nuisance for nearby residents. Its location across the street from a housing development owned by the York Housing Authority made it a target for redevelopment. The Authority saw an opportunity where many saw a risk too lofty to take on. The community had an immediate need for more affordable housing as the residential development located across the street was drawing near to the end of its life cycle. Fortunately, the former dry cleaner was surrounded by Thackston Park, a city park named in memory of a respected community educator, prompting the Housing Authority to strike a deal with the city. In exchange for the land housing Thackston Park, the Housing Authority would trade the land along the Corodorus Creek where many of the structures were failing and requiring demolition. This ensured the city and community did not lose their treasured park, and gained a waterfront amenity. The opportunities the Housing Authority had carved out, combined with the environmental risks, created hurdles that the project team faced head on. Mark T. Smith, Principal Geologist at Element Environmental Solutions (E2S) was fortunate to be part of this project from the very beginning. He conducted the initial Phase I Environmental Site Assessment (Phase I ESA) in 2008 and is now successfully managing the project through the Pennsylvania Land Recycling Program (Act 2) today. During the initial Phase I ESA, Mark identified several recognized environmental conditions (RECs) associated with the site’s former use as a dry cleaner. Legacy dry cleaner sites may be a concern due to the potential for adverse environmental health impacts (link to dry cleaner post). The site operated as a dry cleaner since the early 1900s up until 2008 so a thorough investigation was in order. Furthermore, suspect underground storage tanks (USTs) identified in the Phase I ESA required investigation as well. The condition of USTs are always unknown as they represent a potential pathway for hazardous substances and petroleum products to directly impact underlying soil and groundwater. The Redevelopment Authority of the County of York (RACY) was awarded an Environmental Protection Agency (EPA) Brownfield Assessment Grant for petroleum sites that could potentially be used to finance the Phase I & II Environmental Site Assessment. Mark assisted in the negotiation with the PaDEP and EPA to utilize those funds for investigating the historic USTs identified in the Phase I ESA. Of course a quality assurance program is standard procedure for environmental management projects, but the federal funding required more protocols be in place than a standard Phase II ESA. This included the preparation of a Site Specific Sampling and Analysis Plan (SAP) and Quality Assurance Project Plan (QAPP). The EPA approved the SAP and QAPP plans with no comments, allowing the Phase II ESA to commence quickly. With the Phase II findings in hand, the Housing Authority was able to have a better understanding of the environmental risks and potential remediation costs associated with the property. Some site soils were impacted by chlorinated solvents and metal compounds, while the groundwater was also impacted by chlorinated solvents. The thorough Phase II provided the confidence that the Authority needed and they decided to stay the course. The Phase II allowed a cost opinion to be compiled. They just needed a creative way to help finance the project. The Housing Authority momentarily shifted gears to focus on raising funds for site, to include $750,000 from HOME Investment Partnership funds, $500,000 from the York County Economic Development Corporation as well as a $50,000 contribution from York County’s Mental Health Choices Management Unit. The Housing Authority was also successful in acquiring Low Income Housing Tax Credits (LIHTC) to help finance redevelopment of the site. As soon as the tax credit investors were lined up, the project team worked on a condensed schedule to redevelop the site in exactly one year. 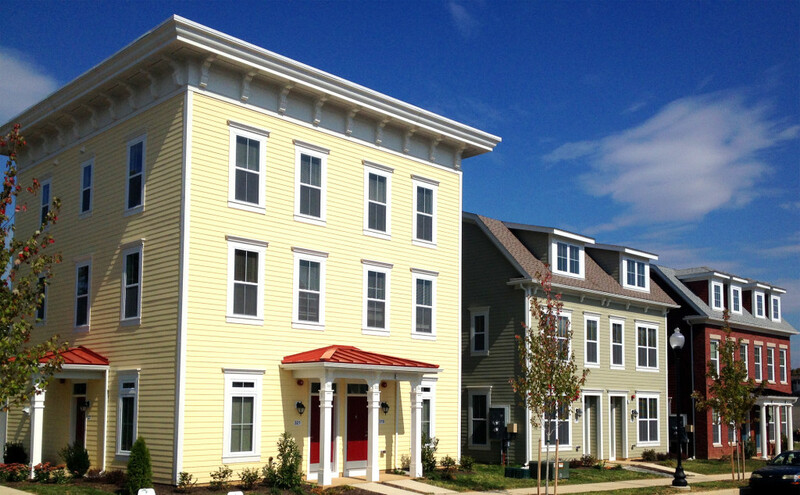 Mark proactively worked with the PaDEP and the project team on the condensed schedule, reassuring the investors that their money was going towards a project that was not only building a community, but ultimately restoring the environment. PaDEP saw the value in this project, and reviewed the work plan and provided feedback along the way. Communication with PaDEP is extremely valuable to the success of a project like this. The Housing Authority budgeted for the worst, but Mark’s remedial strategy proved to be a cost effective solution for the site. 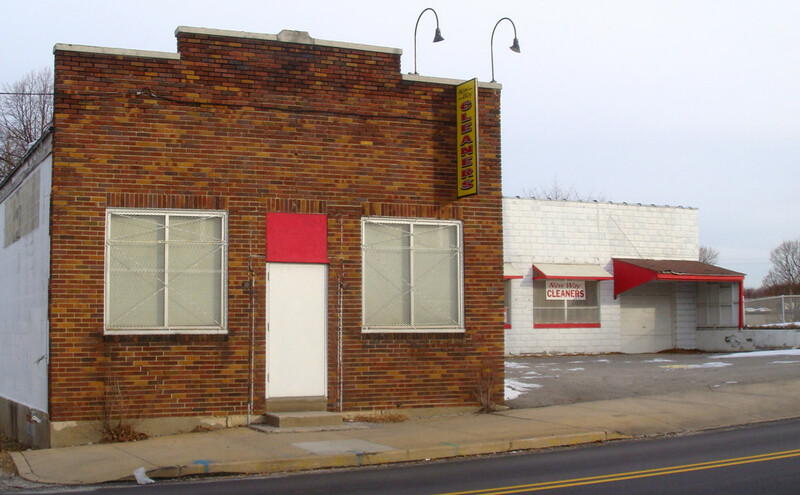 The proposed development included dedicated green space within the footprint of the former dry cleaner’s building. 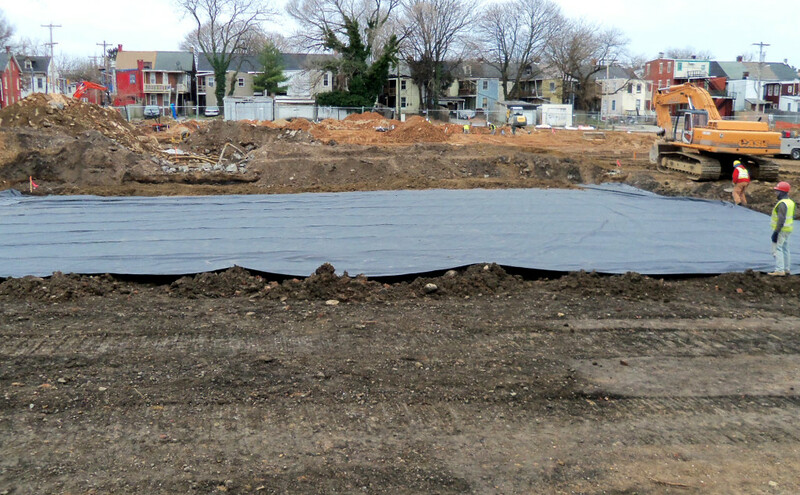 This provided a perfect location to safely manage the impacted soils identified below the former building, saving the Housing Authority over $300,000 in offsite disposal costs. An engineered geosynthetic cap encapsulated the impacted soil creating a barrier between the surface and the contamination as well as halted leaching of the contaminants into the underlying groundwater. USTs were suspected under and near the dry cleaning plant, but they were undocumented and the site owner claimed no knowledge of them. 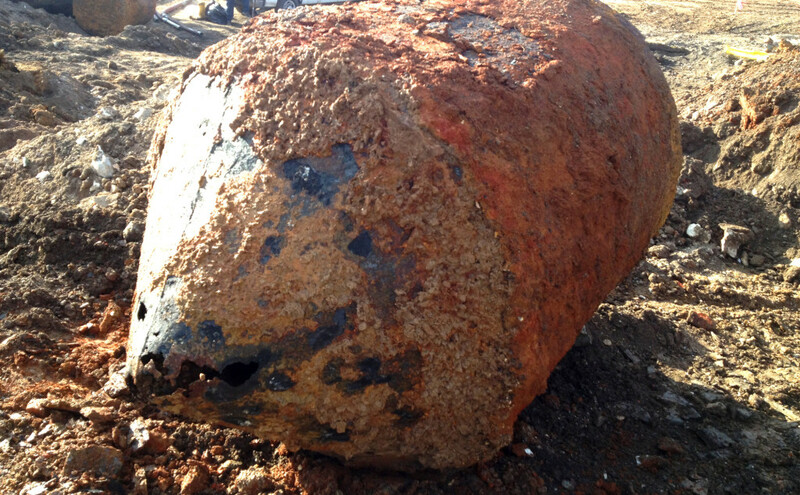 Five USTs located underneath the dry cleaner’s operations were identified during the excavation. Two of the USTs were used for heating oil storage, while the remaining three were associated with the dry cleaning operations. Again, the contaminated soil could safely remain in place since it was located within the footprint of the environmental cap. Vapor intrusion of volatile organic compounds was also concern for the residential units, but the strategy from the very beginning was to take a proactive stance by eliminating indoor air quality issues before they could become an issue. Active sub-slab depressurization systems were installed in every unit as an engineer control to eliminate any exposure pathways from vapor intrusion. Before photo of the former dry cleaning facility. 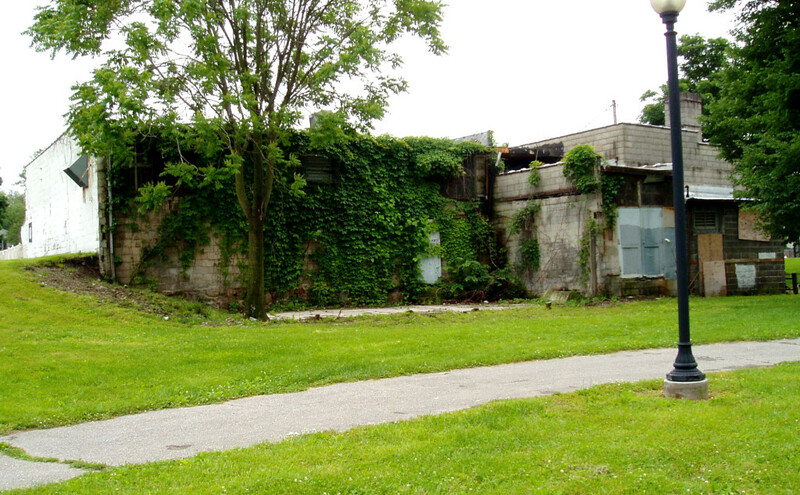 Back of the former dry cleaning facility which faced the park. 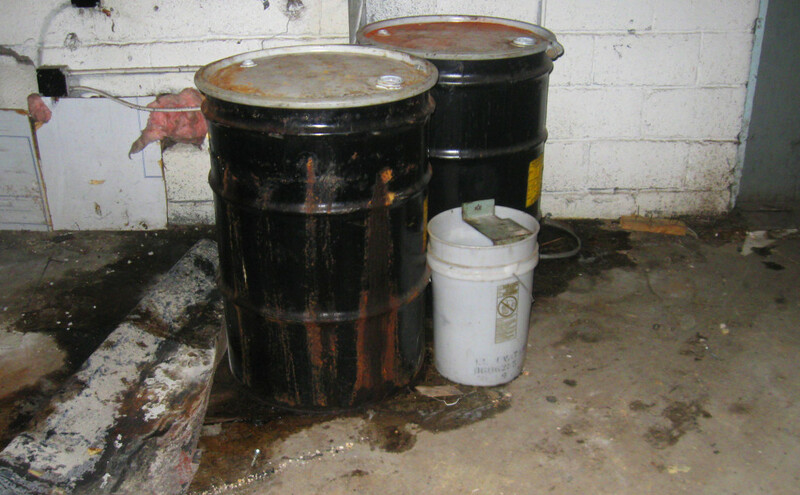 Drums of spent tetrachloroethylene (PCE) with obvious staining identified in the equipment room. 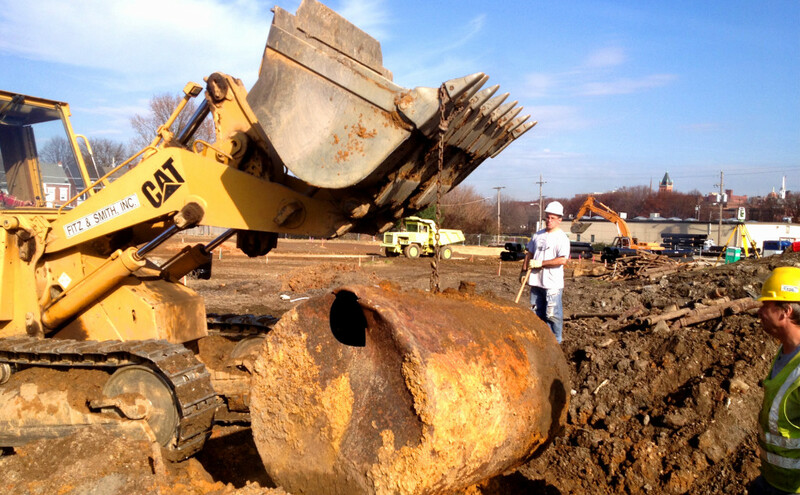 Contractors removing a damaged underground storage tank from beneath the former dry cleaners mechanical room. 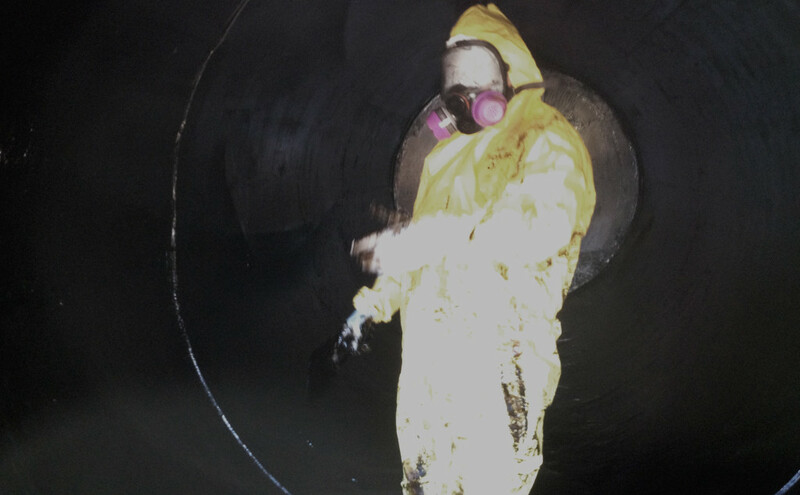 Contractor in personal protective equipment cleaning out an underground storage tank. Damaged underground storage tank located beneath former equipment room. 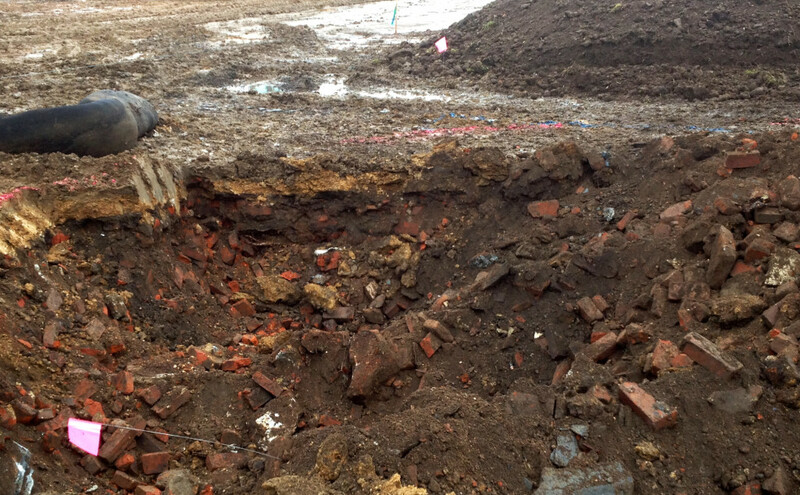 Urban fill material encountered in the area of the lead contaminated soil. Drill rig set up along northern perimeter at point of compliance well. Photo courtesy of YHA. After photo of Homes at Thackston park development. Even though the City provides public water to the site, groundwater could not be ignored in the site’s overall remediation strategy. 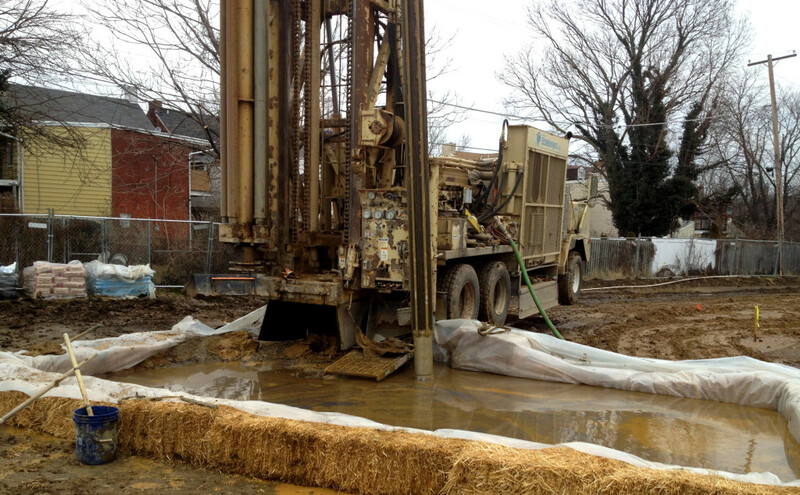 Groundwater remediation is ongoing, but the groundwater monitoring results have proven that the environmental cap was an effective remedy through natural attenuation. Chlorinated solvents have decreased steadily since the environmental cap was installed as an engineering control. Furthermore, fate and transport modeling has shown that the low concentrations of VOC detected in the groundwater was confined to the property boundaries. The Housing Authority has received an Act 2 Release of Liability for the impacted soils under the Site Specific and Statewide health standard programs and groundwater was remediated under the Statewide health standard. In the end, an environmental covenant will document the installed engineering controls as well as any activity and use limitations associated with environmental impact at the site. Conducting remedial activities on a busy construction site was challenging at times, but with open communication and regular coordination it was completed without impacting the construction schedule. Locating wells became somewhat of an adventure as the landscape continually changed. A few of the monitoring wells didn’t fare well against the heavy construction equipment and extensive earthmoving operations, but more were able to be installed to monitor the shallow well network. The construction crew from Harkins Builders was always willing to give us an extra hand if needed. 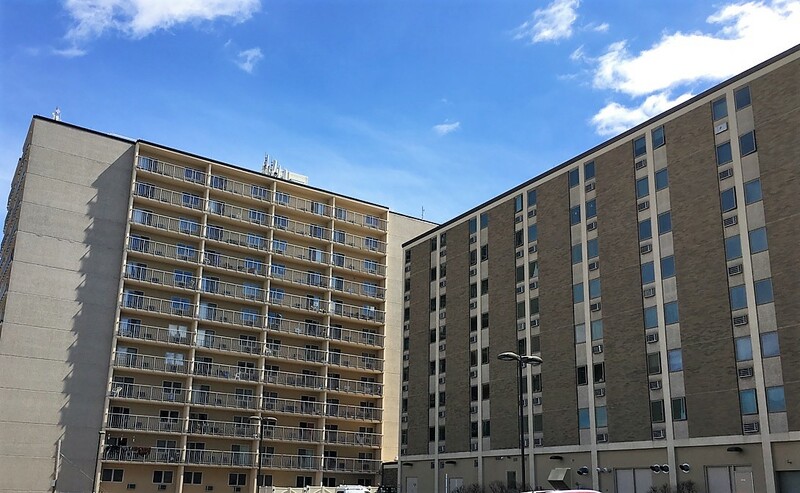 In the end, the Housing Authority has successfully remediated and redeveloped a Brownfield site, protecting the public’s health and providing the City of York with a beautiful and affordable residential development.